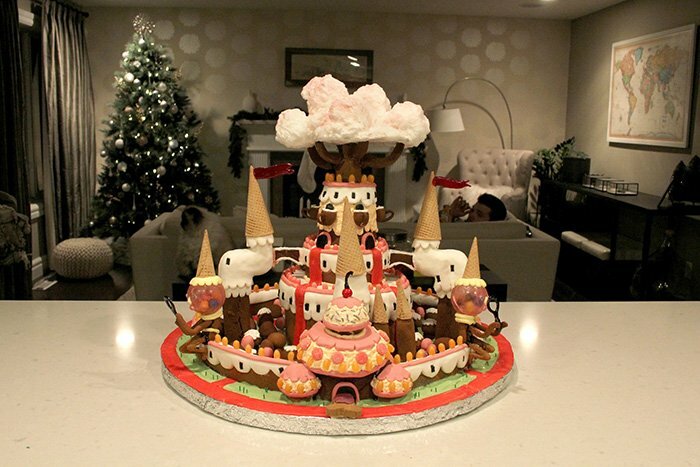 You've never Really seen a Gingerbread house, Until you see These Extraordinary Creations. Christmas is coming (or 'the holidays' to be politically correct) and what would Xmas be without Bing Crosby's 'White Christmas' and a Beautiful Gingerbread House? However, these Gingerbread houses don't look anything like the monstrous boxes my clumsy claws are able to produce! Get inspired by these awesome attempts from all over the world and post yours in the comments. #1 - Inspired by Adventure Time's 'Candy Kingdom', this "imgurian" posted a 47 picture step by step guide how she made this completely edible gingerbread house. It took her around 30 straight hours from start to the finished product. And let me be clear, this is one marvelous piece of art. You can see the whole guide in the source under the picture. #2 - Created by Pam Sheridan, this award winning replica of the Winchester Mystery House, is simply put astounding. Instead of eating it, although it is edible, it was preserved on display in the "real" mystery house at San Jose, California. 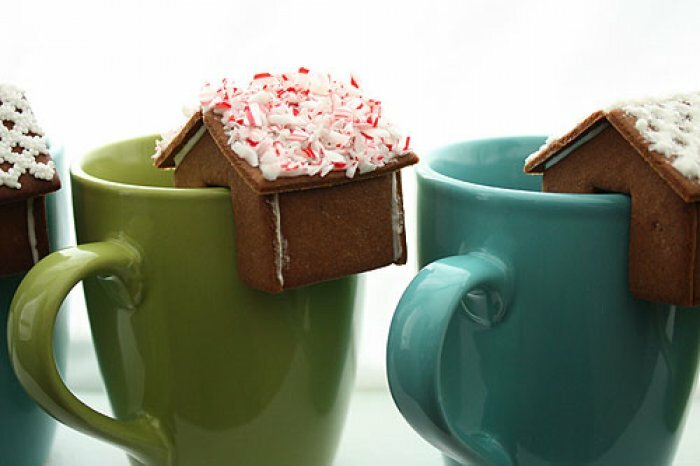 #3 - The smallest gingerbread houses in my list, are these cute ones that sit on the perch of your coffee or tea mug ready for consumption. Megan from notmartha.org who created these amazing little houses, was inspired by "sugar hearts", sugar cubes that hook on the trim of a tea cup. I must say, her creativity with these houses simply astonish me. #4 - It is a long way from the 1300's "Gingerbread Capital of the World" Nuremberg in Germany to the US Capital in Washington. 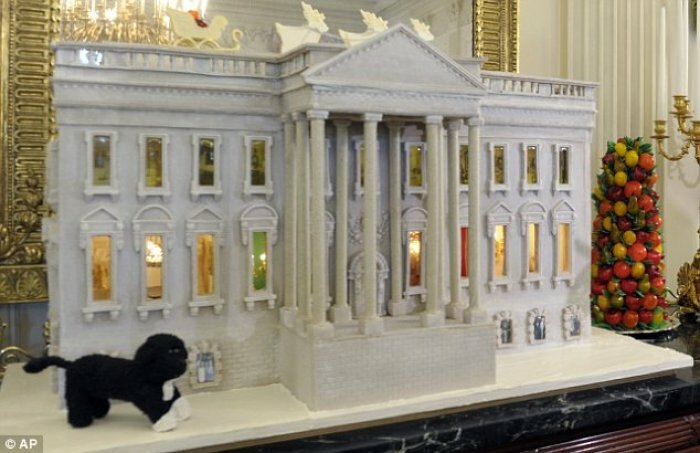 In 2013 the pastry chef Bill Yosses and his Team created this detailed replica of the White House. It weights almost 300 pounds and is edible except for the wooden frame. They used white chocolate to whiten the gingerbread inside and out. For a time lapse video please visit the source below the picture. 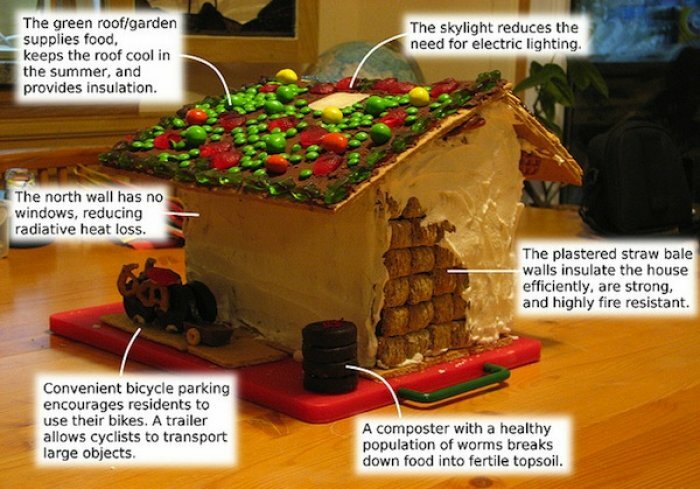 #5 - I found this environmentally-friendly strawbale gingerbread house on flickr uploaded by user "AdinaBob". Since I'm very interested in eco-friendly techniques, this might be my favorite, even if it's not as big and spectacular as the others. #6 - Bigger is better? How about a life sized gingerbread house then? 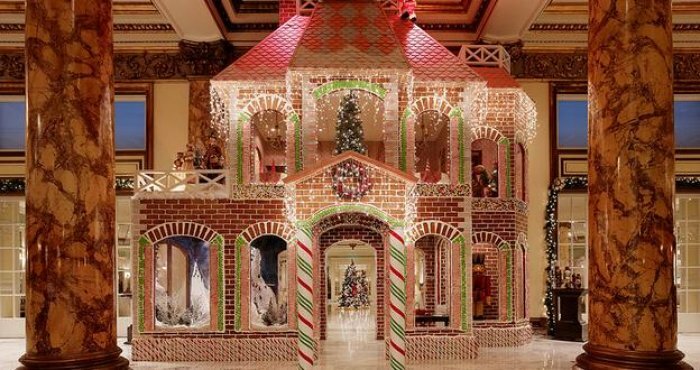 The Fairmont Hotel in San Francisco had this 2-story GB-house with a living area of around 400 square meters built in their lobby in 2013 as a promotional stunt. Only the icing and candy decorations alone weighted over a ton! #7 - The technically advanced reader can top it of with a lighting installation. It may need some more "sugarglue" to keep it stable when all the windows are cut out - but in my opinion its totally worth it. 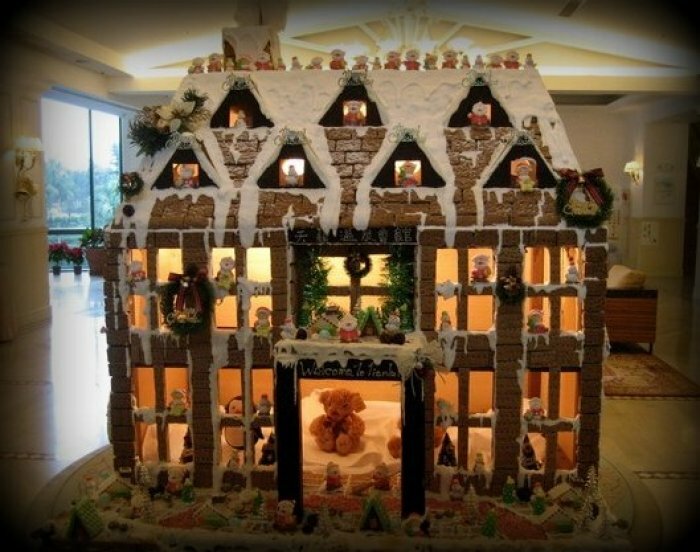 Are you planing to build a gingerbread house this year and will it be a common one or something special?